Posted on: August 31st, 2018	by Jennifer A. This guide to New Jersey tutors contains complimentary listings, paid listings, and affiliate listings. It’s back to school time. Before we know it the kids we’ll be bringing home homework, potentially lots of it. Some of it will be easy enough to help them with and other assignments might have you scratching our head. That’s why as we head back to school I wanted to share my experience as a tutor, my advice on finding a tutor, and a guide with you of New Jersey tutors available to come to your home, have your student come to their learning center, and even sources for online tutoring. Years ago, before I started having children I went into teaching as an alternate route candidate. I found that as I was working towards my teaching certificate and establishing myself as a teacher, tutoring was a great way to build my teaching experience. Having been a Girl Scout leader, I already knew I loved working with kids. Being able to help students learn and excel in the classroom was just as rewarding as helping young girls earn their first Girl Scout patch or graduate to the next level. I started tutoring high school students in SAT prep. But even after I got my teaching certificate I continued to tutor. I often think that it was my years of being a math tutor that helped me grow to love math in my adult years. I hated math as a student. All of that changed when I started tutoring. I used to tutor kids from Kindergarten through High School. I’ve tutored for a company that had locations in New Jersey and I’ve tutored in student’s homes, bookstores, and libraries. I’ve had some parents book their tutoring directly through me and some using a site that matches tutors with students. My tutoring experience is broad and diverse. As we begin another school year, I’m looking to use that experience to help you. Take a look at our recommendations for tutors in New Jersey and then keep reading to see our tips for hiring a tutor. If you do reach out to one of the New Jersey tutors below please make sure to tell them that you heard about them from Jersey Family Fun. Some New Jersey tutors may qualify for a complimentary basic listing. 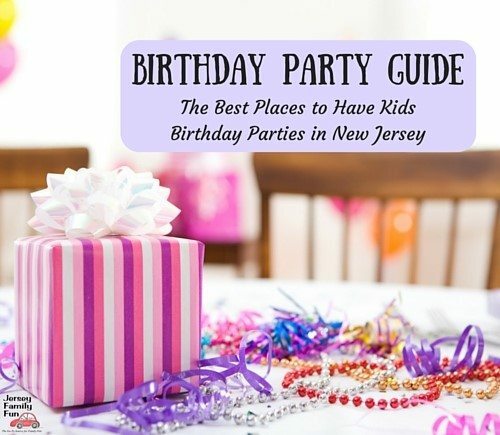 For more information or rates for a featured listing contact Jennifer Auer, publisher at Jenniferauer@jerseyfamilyfun.com. Wyzant.com currently has the largest network of certified tutors available on the web – over 66,000 and counting- which means exclusive access to top study tips and proven practices to help students succeed in the classroom. Visit Wyzant.com to search private tutors in your area today! Care.com allows parents and caregivers to search through their list of tutors for one in New Jersey. You can search for tutors with availability within the month, the next week, or if you need someone right away. You can also post a tutoring job and get responses. Learn more at care.com. Mathnasium is a neighborhood math-only learning center that teaches kids math the way that makes sense to them. Their experienced math tutors utilize proprietary teaching materials and techniques, The Mathnasium Method™, to deliver a customized learning plan designed to address each student’s needs, whether they started out far behind or are already ahead in math. Their instruction approach goes beyond traditional math tutoring to develop understanding and build a love for math. For more than a decade, the Mathnasium Method™ has transformed the way kids understand and appreciate math. Larry Martinek, creator of the Mathnasium Method, has spent 40+ years designing, developing, and refining this approach based on his extensive experience teaching math to kids. They build math knowledge upon what they already know—this helps kids learn and starts boosting confidence right away. At Mathnasium, they teach students to truly understand math. Their caring, highly trained instructors assess and teach each child individually, using customized learning plans to help them set and accomplish their academic goals all year long. The Mathnasium Method™ builds confidence, develops critical thinking, and boosts grades and scores. The results are transformative—families will see measurable changes in attitude, confidence, and school progress. Teaching math is not just what they do, it’s all they do. Mathnasium of South Jersey has New Jersey math tutors to help students from second grade through Calculus understand math by teaching in a way that makes sense to them. Mathnasium of South Jersey is offering an exclusive discount to Jersey Family Fun readers and followers. Mention Jersey Family Fun when enrolling in a 6 month or longer package of math tutoring and learning and receive one additional month at no additional cost. Contact one of the centers below for more information. Offer expires June 30, 2019. Mathnasium of Cherry Hill offers tutoring at 1892 Marlton Pike East in Cherry Hill, NJ. Call them at (856) 874-0050. Mathnasium of Haddonfield offers tutoring at 676 W. Cuthbert Blvd. in Collingswood, NJ. Call them at (856) 858-6284. Mathnasium of Medford offers tutoring at 560 Stokes Rd, Unit 24 Ironstone Village Center in Medford, NJ. Call them at (609) 257-4748. Mathnasium of Mt. Laurel offers tutoring at 127 Ark Rd., Store #10 in Mt. Laurel, NJ. Call them at (856) 441-2356. Contact the individual Mathnasium math tutoring centers at their numbers above or their site, mathnasium.com for more information. CourseHero offers instant homework help with an option for your child to submit their question and get step-by-step answers from expert tutors. From Uncertain to Understanding: Get Help Now with Course Hero. Details about more online tutoring options for New Jersey students coming soon. Is there a tutor you love missing from this list? Let us know in the comments below and we’ll reach out to them. Whether your child is struggling or wants extra practice follow along with our Guide to New Jersey tutors. Use the advice below to help you choose a tutor in New Jersey and the list above to find one close to you. What are your goals for your student? What outcomes do you want your child and tutor to achieve together? Having specific goals in mind and communicating them with your potential tutor will go a long way in your tutor-student-parent relationship. Wanting your child to improve their SAT score by 400 points before the next test 2 weeks from now for example is an ambitious goal, but not a realistic one. Share your concerns with tutors your interviewing and ask them what are some reasonable goals that can be set for your child. Where will your child be tutored? New Jersey tutors can be hired to tutor in your home, a library, or a learning center. While your home may be the most convenient, it’s not always the best place for one-on-one lessons to take place. You want to ensure that wherever your child is being tutored it’s free from distractions like pets, siblings, and other background noises. What is your child’s schedule like? When does he/she have availability for tutoring? If they have afterschool, early evenings, and weekends available, then you have a lots of options. If their schedule is a little more erratic or they need tutoring outside of typical times, an online tutor may be a better option. What is your schedule like? Do you need to be at tutoring sessions? Will your child want you there? If tutoring is to happen in your home, an at home tutor may require that you or another adult be in the home. If you’re visiting a tutoring center located in New Jersey you’ll need to plan for the time to travel there, particularly if you are going into a highly congested area at rush hour. How do you want to pay for tutoring? There are a variety of ways tutors handle payment. Some may take cash only. Others may accept checks, credit cards, and even PayPal. A tutoring center or larger tutoring program may sell tutoring in packages or require a deposit. A home tutor might work on a week-to-week basis. If you know you are interested in tutoring beyond a few hours ask about specials and discounts for prepaying for a block of tutoring sessions. Thinking about these things and communicating them with any tutors you hire will go a long way towards a successful student-tutor-parent relationship. It helps your tutor create a plan for your child that is both realistic and reasonable.